Handbag: Purse, Backpack, Wallet - Hooks, The Easy to Install Hook Series. 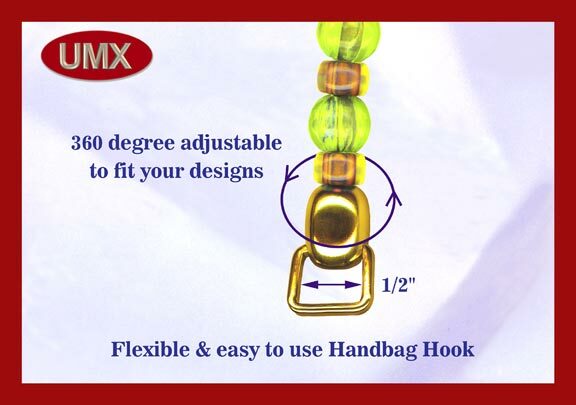 The flexible and easy to install handbag hook is a new design, specially for beaded handle. The hook is 360 degree adjustable to fit your designs. The bottom square hook is swivel, it can hold 1/2" webbing or fit into the cutout of you handbag or purse.